The box is approximately 12″ x 8″ x 2″, with a large see-through plastic panel on the front, and a smaller see-through plastic panel on the back. 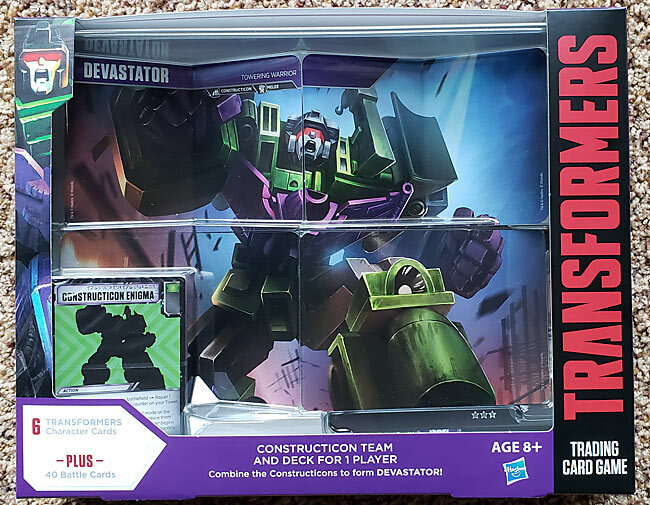 We have said this several times before while reviewing Transformer TCG Products: These boxes that Wizards of the Coast and Hasbro have designed are phenomenal. The engineering in the packaging is fantastic! The boxes look beautiful, and we always feel guilty opening them up. 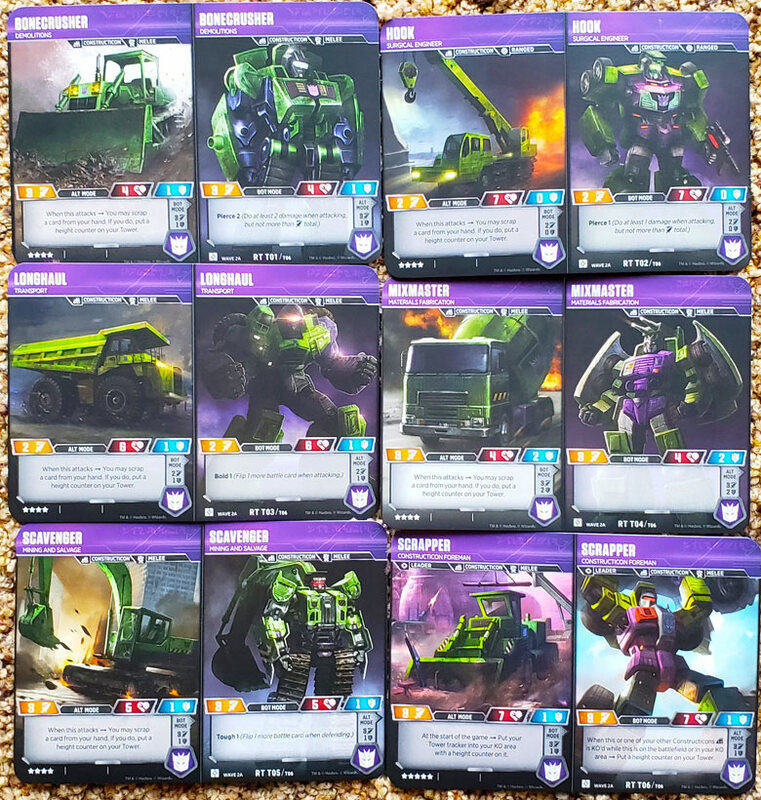 6 folding Character cards that make up the Devastator Combiner: Bonecrusher, Hook, Long Haul, Mixmaster, Scavenger and Scrapper. 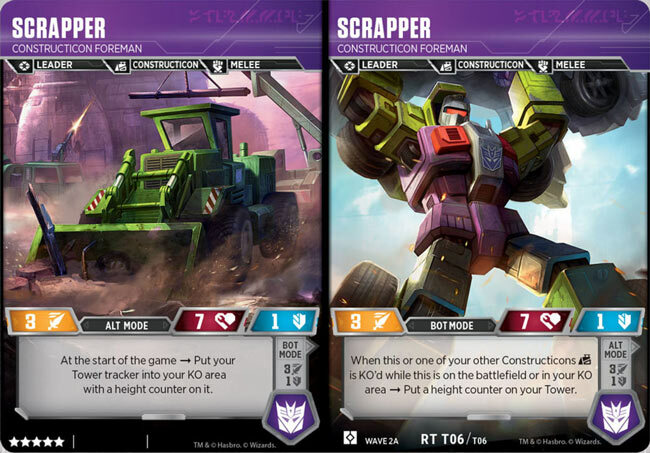 These Robots are all exclusive to this deck set. 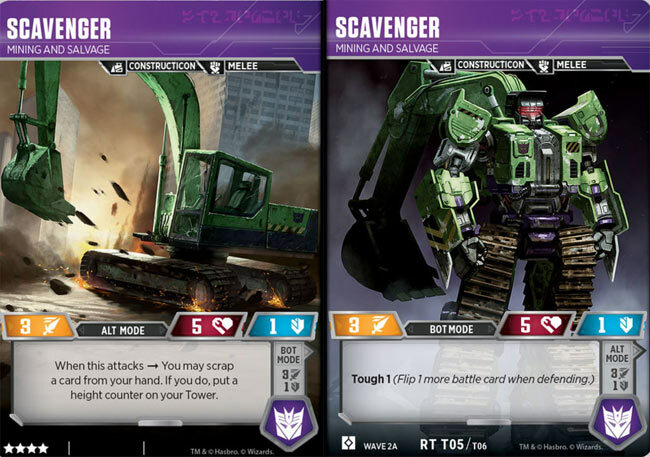 Here is a look at the 6 Exclusive Character Cards you get inside (you can scroll down to see these cards in better detail later in the article). All six of these guys have a 4 stars cost. And they are pretty squishy. 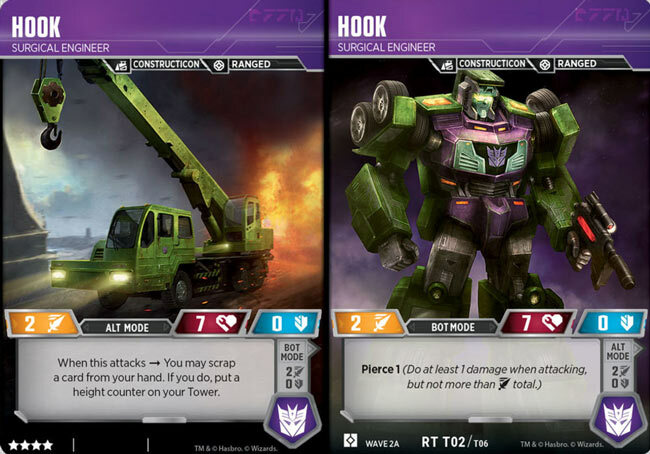 But the Construction Enigma Battle Card lets you use these bots from the KO area to build the Devastator Combiner. 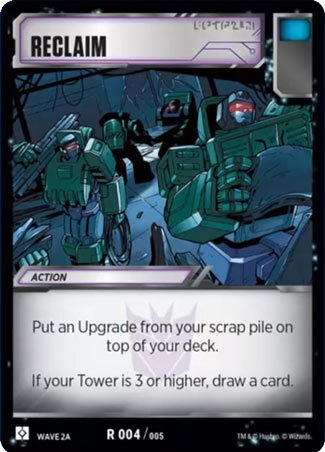 Scrapper gets your Tower Tracker out. 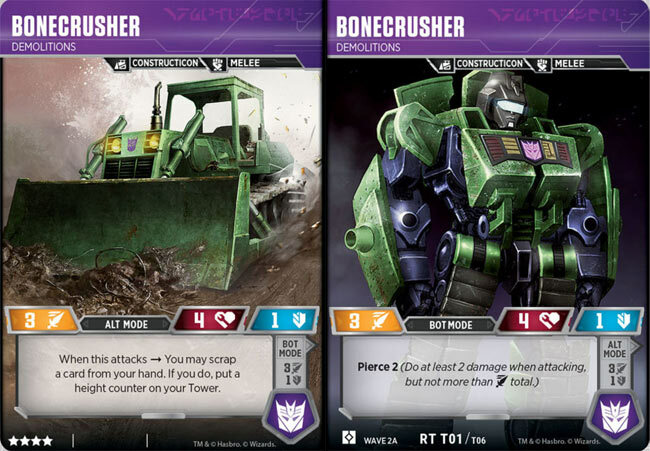 Bonecrusher (and other robots) lets you scrap a card when you attack. 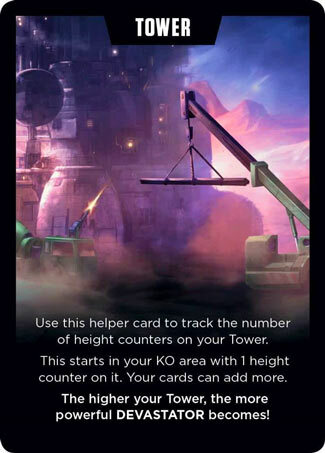 If you do so, you add a counter to the Tower Tracker. 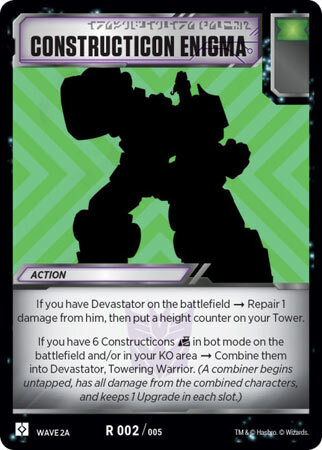 The Construction Enigma Battle Card helps you Combine your bots into Devastator, Towering Warrior. 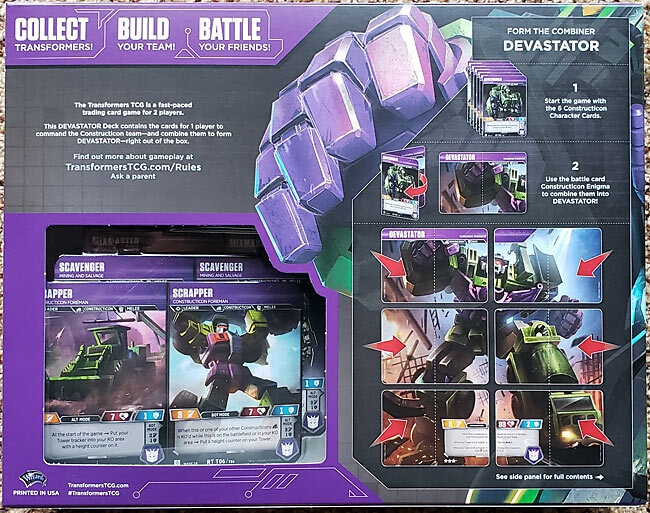 Should you buy the Devastator Deck? The List Price for this Preconstructed Deck is around $24.99. 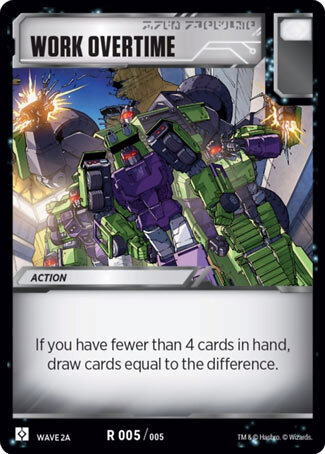 That’s not bad really for a completely pre-built Combiner deck. 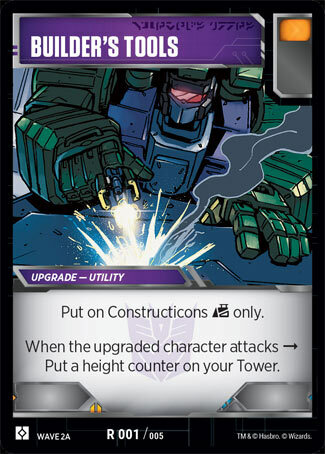 This particular Combiner is exclusive to this Preconstructed Deck. 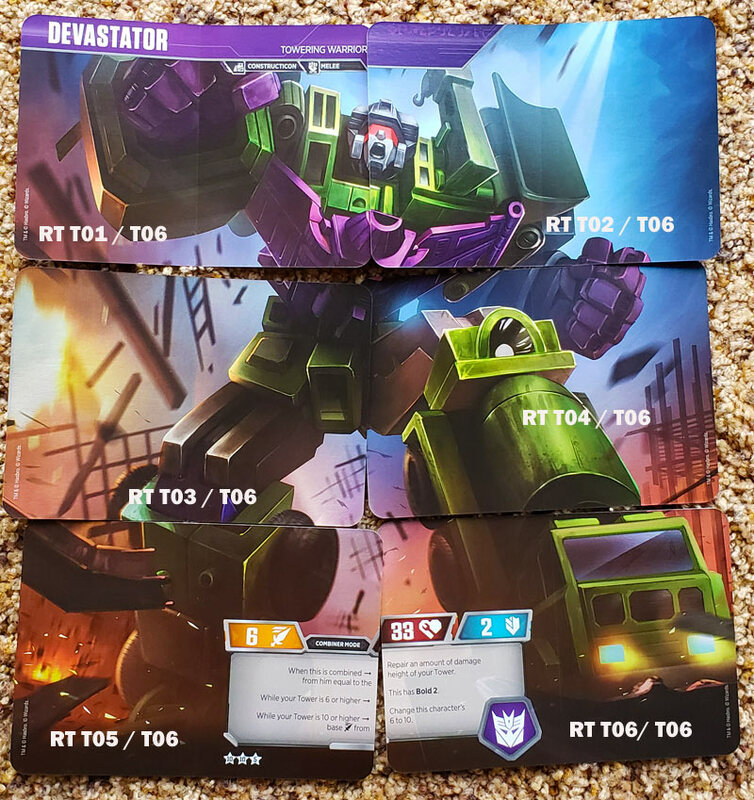 If you like this Combiner, this Devastator Deck is the only way to collect it. Overall, this is a pretty nice product for $25. 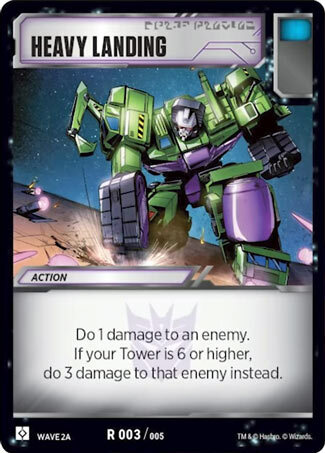 You can buy this one, and the Metroplex Deck and have two fully prebuilt decks to battle against each other. These aren’t tournament worthy decks out of the box, but they are certainly viable for playing and learning the game with friends and family. After some practice and play, you might consider adding other cards from Wave 1 and Wave 2 to make the deck faster and more powerful. 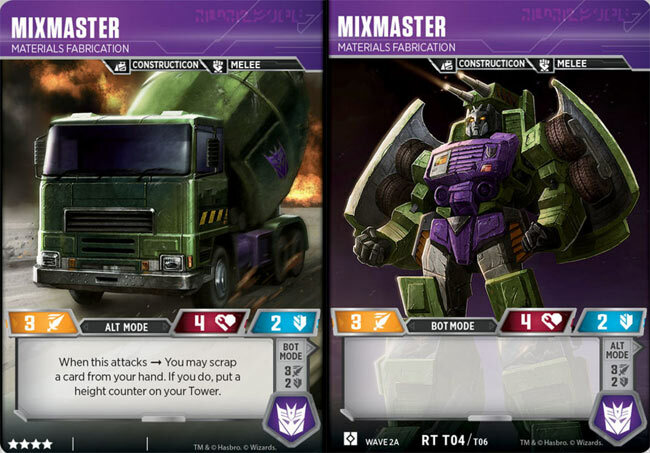 We recommend picking one of these Devastator Decks up if you are a Player or a Card Collector. It’s a great way for new players to start a collection. Many cards are exclusives right now to this deck. And it is the only way to get some of these battle cards. 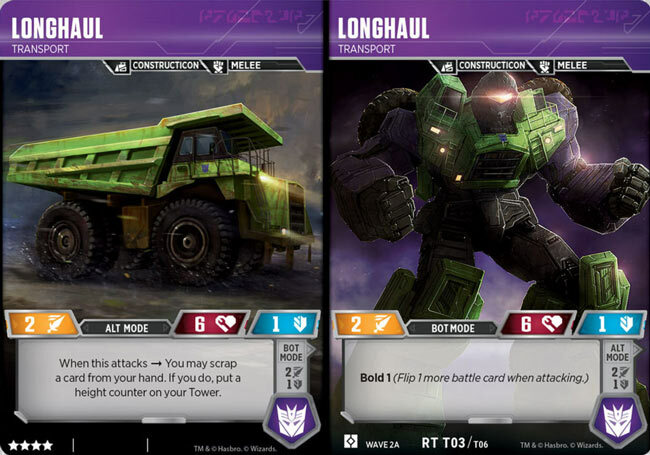 Works Overtime is a very solid card, and a set exclusive. Works Overtime might be the best draw card in the game right now. This set is lacking is a good rule book. You’ll have to watch the online tutorials if you want to learn how to play. 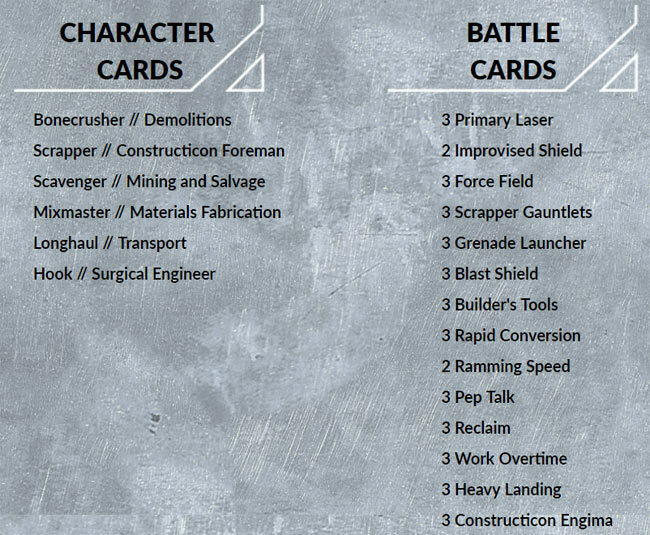 We really wish the starter and preconstructed decks included better rule books. Call us old-school, but we miss the days when Wizards of the Coast would include a small 76 page instruction guide / rule book in their Magic: the Gathering precon decks. You might not think the deck is all that strong right out of the box. Most preconstructed decks are a great way to learn how to play, but this deck might benefit from more attacking type Battle Cards.